Heading up through Little Italian Basin. 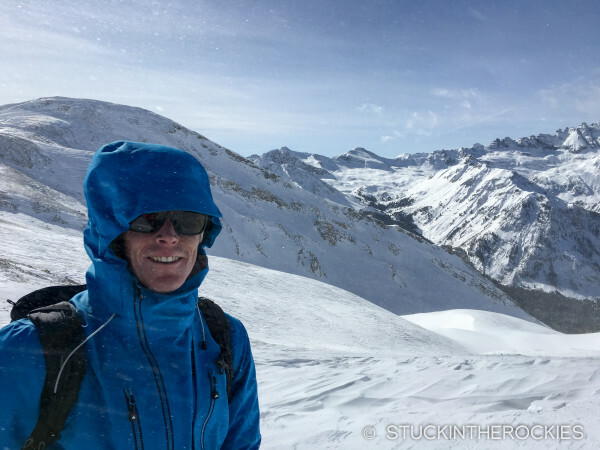 We were hoping to get some miles in on a tour that didn’t feel too aggressive considering all the new snow that fell recently. 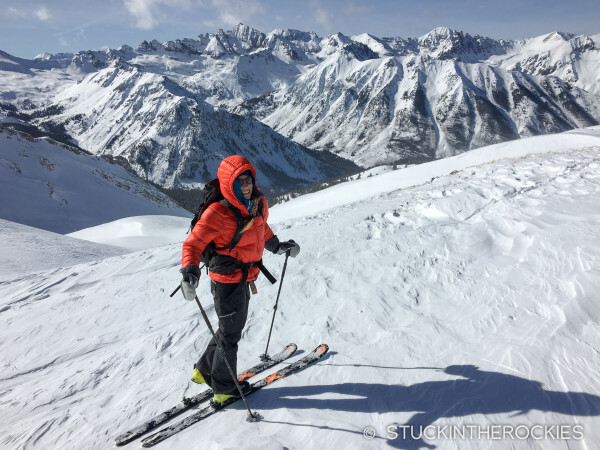 So Sean, Christy, and I put together a pretty fun loop outside of Ashcroft that allowed us to get up high and catch some views, ski a bit, and all while keeping the terrain pretty mellow. 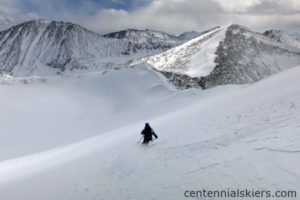 The day began at the Ashcroft Ghost Town and followed the route to Opa’s Hut, up Express Creek Road, into Little Italian Basin, and over the pass into Taylor Basin to the hut. Being a weekend we had expected there to be some hut trippers staying there but to our surprise it was empty when we arrived. Opa’s Hut as you approach it from Taylor Basin. It has a sweet wrap-around deck that gets tons of sun on a nice day. It was a perfect spot out of the wind with a sunny deck to take lunch. 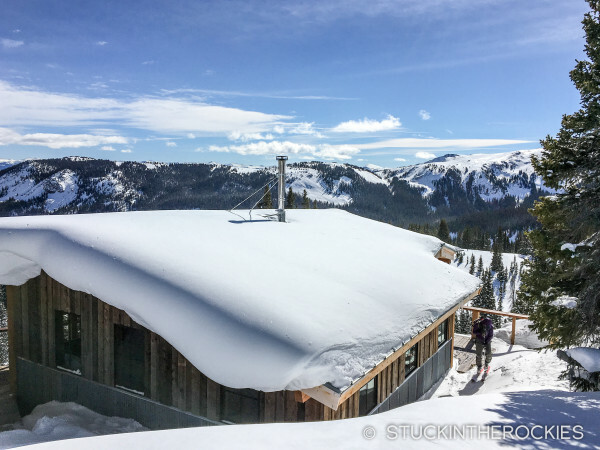 Opa’s is a favorite hut for local’s for a lot of reasons– the location really completes the Braun Hut network of huts from a connectivity standpoint, and its views and the nearby skiing on and around Taylor Peak can be pretty exciting when conditions allow. A big day on Taylor Peak itself wasn’t in the cards on this day, so after lunch we began the trip up and over the broad West Ridge of Taylor Peak, which is the route groups follow to connect to the Lindley Hut. Clear and windy- you could almost wonder if we were in Antarctica or Colorado. Afterwards we couldn’t tell if we were windburned or sunburned. Is there a difference? 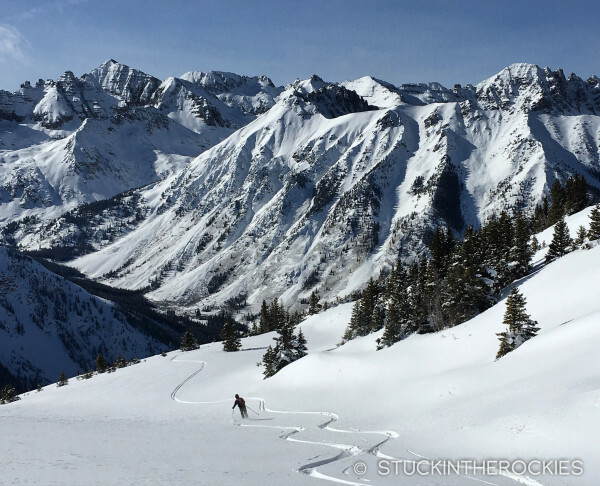 The expansive view of the Elks and the Castle Peak group was worth the effort. Lots to do this spring! 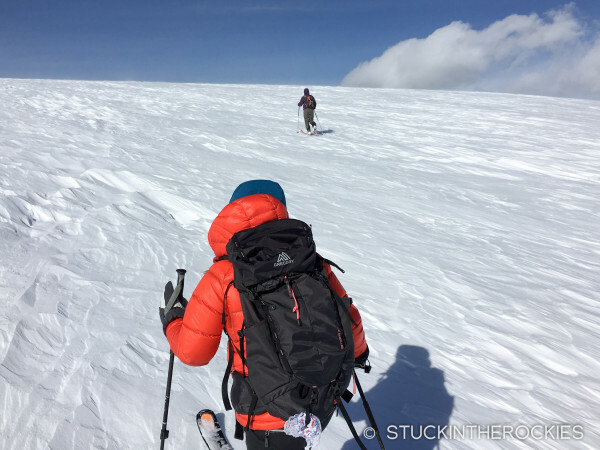 As we crested the ridge, we found ourselves in big wind which is typical for the area, but we also caught a lot of cool views, one of the motivations for getting out today. 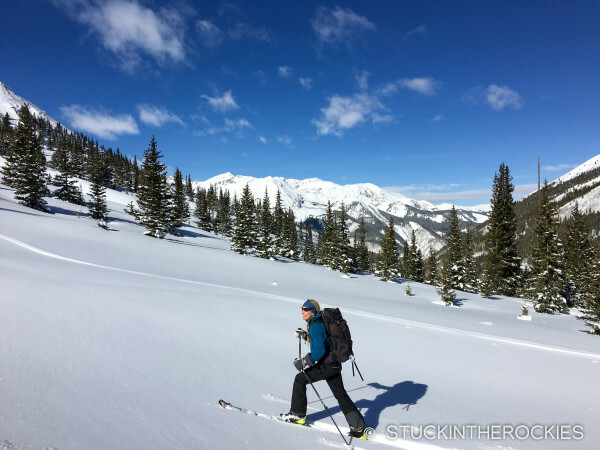 The Castle Peak group of mountains was directly to our west and was looking snowy after our recent big dump, and that got us excited for the prospects of the upcoming spring. 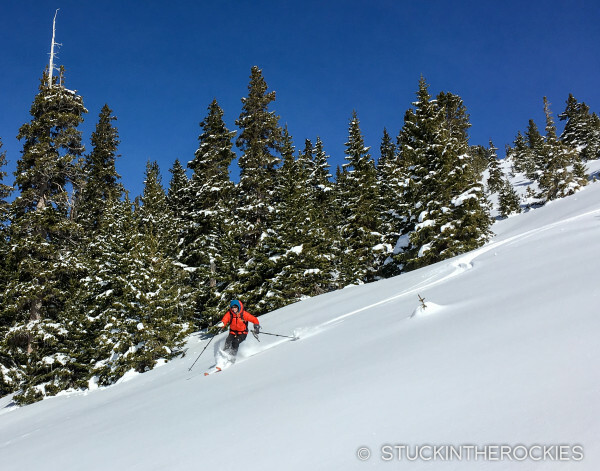 After skiing the open glades down from the ridge of Taylor, we reached the mine road and cut some of its switchbacks for some more soft turns down to the Lindley corner. An overloaded group of hut trippers was just arriving so we opted against stopping in, besides, the Superbowl was starting shortly and we had to get back to town to catch the game. 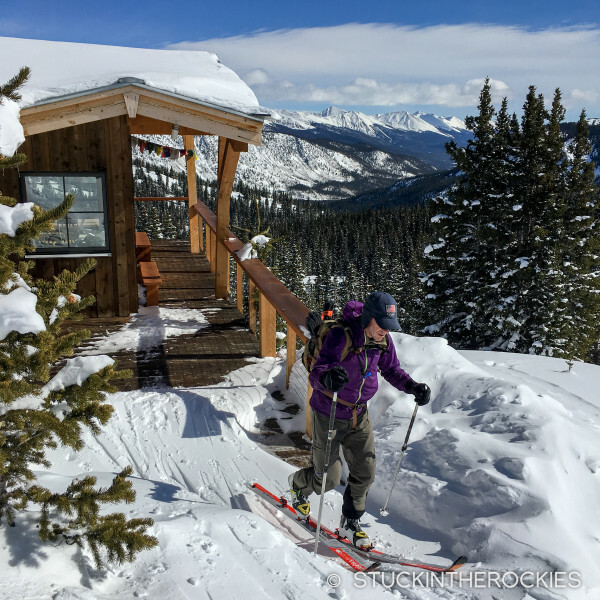 We skied and skinned and skated out the road past the Cookhouse and back to the truck at Ashcroft. 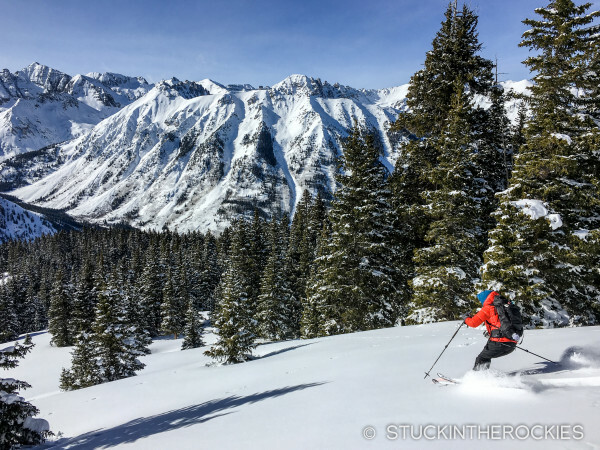 Sean, skiing down the shoulder of Green Mountain. 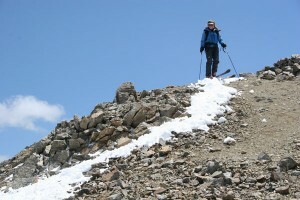 Out of the wind now, Christy enjoyed some backcountry turns on the beautiful day. 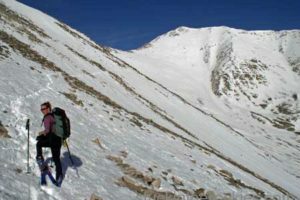 The modest angle wasn’t too concerning for avalanches. And the parting ski-away shot. Quite the setting. 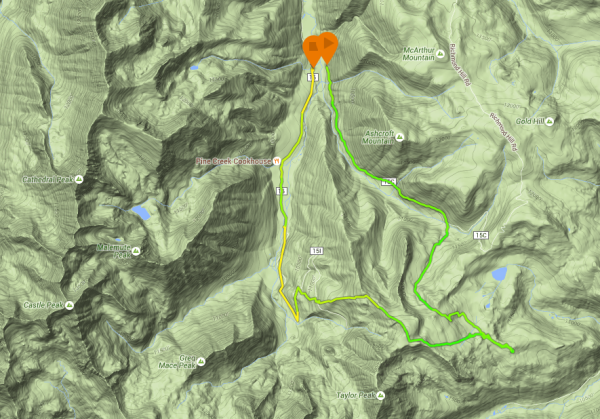 In all the loop was 14.3 miles with 4,100 feet of elevation gain. It was almost a big enough effort to justify spending the next half of the day eating Superbowl snacks and hors d’oeuvres. Go Broncos! Sweet day out, guys! Christy, great to see ya on the sticks again! Hope all is great. 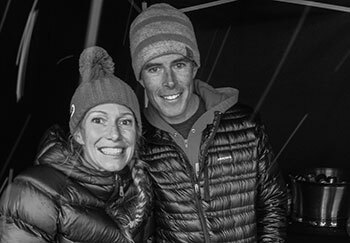 Nice write up Mountain Mahons. More winter sunshine on the horizon. Thanks guys, it’s starting to feel like that time of year.